This content was produced by the Advertising Department of WISN. Every parent wants to make sure that their child can achieve their dreams for the future. For many, that dream includes college. But families are often overwhelmed by both the cost and the dizzying array of options to save for a child’s education. Countless questions arise when researching plans. Knowledge is power when it comes to choosing the right college savings plan for your family, whether your child is in pre-school, middle school or high school. According to a 2017 Sallie Mae survey, 86% of families expect their child to attend college, but only 39% have made a plan to pay for it. Those in Wisconsin who hope to save for their son’s or daughter’s higher education have a place to turn to for help. The Edvest College Savings Plan is a state-sponsored, tax-advantaged 529 college savings plan that’s helping parents just like you. Just as a 401(k) plan is for retirement savings, a 529 plan is for college savings. Although they are rising in popularity, there are still some misconceptions about 529 plans that may make it harder for parents to decide how to move forward. We’re sharing the facts and breaking down myths so you can make informed decisions about saving with a 529 plan like Edvest. Fact: You can open an Edvest account no matter where you live but you can only take advantage of state tax incentives if you are a Wisconsin resident. If you plan to move out-of-state, you can still keep your Edvest account but you won’t receive a Wisconsin tax benefit. Tip: Check whether your new state offers a 529 plan with state tax incentives. Fact: Funds in your Edvest account can be used at any eligible educational institution in the U.S. and many abroad, including public and private colleges and universities, graduate schools, technical colleges, and vocational schools. Fact: You can use the money in your account to pay for tuition, or you can apply it to required fees, room and board, books, supplies, and computers or other technology-related costs. You can also use up to $10,000 annually towards K-12 tuition in Wisconsin. Fact: Any person with a Social Security Number or Federal Taxpayer ID Number who is a U.S. citizen or resident alien can open and contribute to an Edvest account on behalf of any beneficiary. 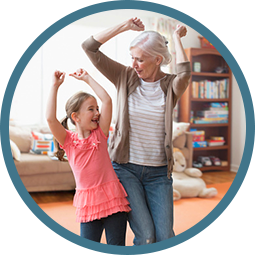 You can open an account for your child, your grandchild, or even for yourself! There’s also no time limit on using the funds. Your beneficiary can be 25 years old and starting college or 30 years old and attending graduate school. They can even be 40 years old and hoping to learn new skills. And, if you’re interested in saving but don’t yet have a child, that’s okay too. You can open an account for yourself and then, once your child is born, change the beneficiary of the 529 plan to the child. Tip: If the beneficiary of your account decides not to attend college, you have options. Learn more at Edvest.com. 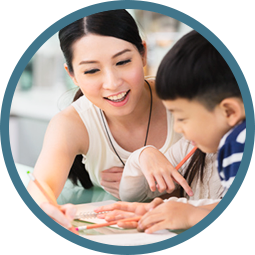 Fact: One of the best features of the Edvest College Savings Plan is that it’s very easy to contribute. While you can certainly pay by check, you also have a number of other options. You can make a one time or recurring transfer from a bank account, or set up an automatic payroll deduction. Many people find that direct deposit from their paycheck is an easy way to contribute regularly and build their savings. Tip: Check with your employer to see if they can offer payroll direct deposit to the Edvest College Savings Plan, and if not, encourage them to add it. Learn more at Edvest.com/benefit. Fact: The advantage of 529 plans is that families don’t pay state or federal taxes on earnings as long as funds are used for qualified college expenses. Wisconsin also offers an annual state tax deduction of up to $3,200 per beneficiary. Limitations apply. * What’s more, the account owner controls the funds, which ensures they are used for higher education. Tip: When it comes to Federal Financial Aid, 529 plan funds are weighted more advantageously when they are the parents’ funds (and even more so when they are the grandparents’ or other relative’s funds), rather than the student’s asset. Tip: Edvest offers online learning resources at Edvest.com and college savings specialists available to help you so you can better understand the plan and decide whether Edvest is right for you. Fact: Edvest accounts may be opened with as little as $25. As a direct-sold plan, there are no sales commissions or annual fees, which can mean that more of the money you save may go toward your college savings goal. There are also no application or cancellation fees, no fees associated with changing beneficiaries, and no fees for changing investment portfolios, making Edvest both affordable and flexible for families to use. 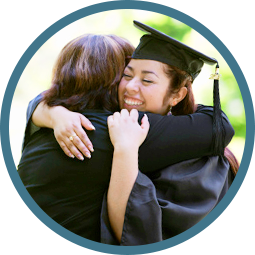 Edvest, takes great pride in helping Wisconsin families like yours prepare for the cost of higher education. If you have more questions about 529 college savings plans, they’re ready to help. Go to www.edvest.com or call 1-888-338-3789 to speak with a college savings specialist. *To learn more about the Wisconsin College Savings Plan, its investment objectives, tax benefits, risks and costs, please see the Disclosure Booklet at Edvest.com. Read it carefully. Investments in the Plan are neither insured nor guaranteed and there is the risk of investment loss. If the funds aren’t used for qualified higher education expenses, a 10% penalty tax on earnings (as well as federal and state income taxes) may apply. Check with your home state to learn if it offers tax or other benefits such as financial aid, scholarship funds or protection from creditors for investing in its own 529 plan. Consult your legal or tax professional for tax advice, including the impact of the new federal tax changes. TIAA-CREF Individual & Institutional Services, LLC, Member FINRA and SIPC, distributor and underwriter for the Wisconsin College Savings Plan. **2018 Plan Performance Rankings Q2, Savingforcollege.com, 8/14/2018, https://www.savingforcollege.com/529-plans/performance-rankings Edvest ranking is based on a performance score calculated by investment performance for 54 direct-sold 529 plans (1-year ranking) , 47 direct-sold 529 plans (3-year ranking) and 47 direct-sold 529 plans (5-year ranking). The Savingforcollege.com plan composite rankings are derived using the plans’ relevant portfolio performance in seven unique asset allocation categories. The asset-allocation categories used are: 100 percent equity, 80 percent equity, 60 percent equity, 40 percent equity, 20 percent equity, 100 percent fixed and 100 percent short term. The plan composite ranking is determined by the average of its percentile ranking in the seven categories. Past performance does not predict future results.